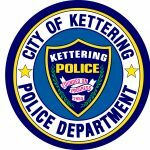 The citizens and the community remain the focal point of the Kettering Police Department. >The citizens and the community remain the focal point of the Kettering Police Department. Community Relations is responsible for maintaining communication with local youth through school programs, the community through city-wide programs, as well as serving the needs of residents and local business organizations. The Community Relations Section is under the direct command of the Chief of Police and is led by the Administrative Lieutenant. The Community Relations Section consists of three patrol officers who deal with alarm administration, juvenile safety, media contacts, crime prevention and much more. The Community Service Specialist who handles animal control is also a member of the Community Relations Section. For information on crime prevention, tours and events, please call 937-296-2567.